Are you doing this when you wrap your baby? Doctors say the condition has increased threefold in babies over the age of three months since 2013. 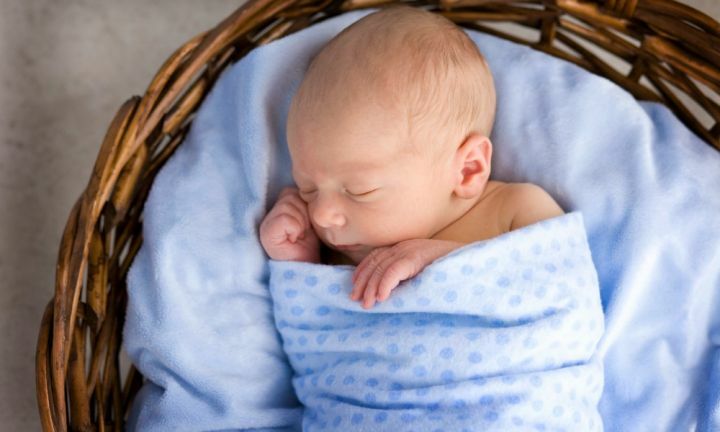 Most newborn babies are swaddled to help them settle and fall asleep but parents are being warned about the dangers of wrapping their little ones too tight. Although the popular cloth-wrapping method, which has been used for centuries, is used to help calm and soothe young babies, experts have warned parents to be careful with their technique, as the practice has the real potential to do more harm than good. Unfortunately for Rob and Libby Paglia, they learnt the hard way with their daughter, Lucia. Libby noticed her little girl was walking differently to other toddlers around her age but didn’t think too much of it. “She had a bit of a limp and yeah, I thought it was normal,” Libby told 7 News. That was until Lucia was diagnosed with hip dysplasia as a toddler. Doctors said it was most likely caused by being swaddled too tightly as a baby. “She was detected quite late so we had to go through the process of realigning the hip, ” her dad, Rob, says. Since then Lucia has undergone two surgeries and worn two full body casts which helps the hip to grow back into a normal shape. Hip dysplasia – also known as a dislocated hip – occurs in about one in 1000 births and is most likely to happen from birth genetics or the baby being born breech. The condition has increased threefold in the past two years in babies over the age of three months. Although the exact causes are not known, it is widely believed that hip dysplasia is developmental because the condition is known to develop around the time of birth, after birth or even during childhood. It is thought that the positioning of the baby in the womb can cause more pressure on the hip joints, which stretches the ligaments. Other factors that could possibly cause the condition are birth genetics and incorrect swaddling. The condition can be difficult for parents to detect because the babies are not usually in any pain but signs include a strong curve in your baby’s lower back, asymmetrical buttock creases and the child’s hip clicking or popping. It is also more common in girls than in boys by a ratio of 4 to 1 and more likely to affect the first-born child. A limp can also become obvious when the child learns to walk or when their pelvis is tilted to one side. If treatment is delayed beyond two years old, hip deformity can lead to painful hips, waddling when walking and a decrease in strength. If untreated altogether, osteoarthritis (a painful hip disorder) and other hip deformities can develop in young adulthood. Mild abnormalities that need treatment occur in up to one in 100 births. Usually only one hip is affected, most commonly the left hip, but both hips are affected in 25 percent of cases. This is thought to be because babies in a normal position in the womb have more stress on the left hip than on the right hip. 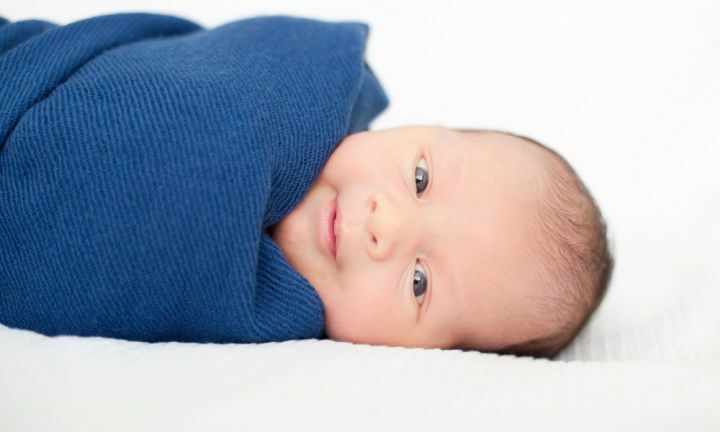 How can swaddling cause it? Adelaide Women’s and Children’s Hospital orthopaedic surgeon, Dr Nicole Williams, says that 80 percent of babies in Australia may be swaddled inappropriately. “Unfortunately if we are wrapping them up with their legs tightly together then that’s not safe for their hip development,” Dr Williams says. When baby is able to roll from their back to their tummy and then onto their back again during supervised play (usually four-to-six months) the use of a wrap can be discontinued for settling and sleep. Supplied by the SIDS and Kids website.